That is a harp guitar made by a luthier from Malasia. The photo was taken when I was in Seattle, and I was asked to play about 40 guitars for the "Acoustic steel string listening session" at the GAL's luthier's convention. I had fun! Horsefeather (L-R) Kenny Nowicki, Dave Lubenow, Steve Damstra, John Sczmczak, Mark Swanson, John Andrews. 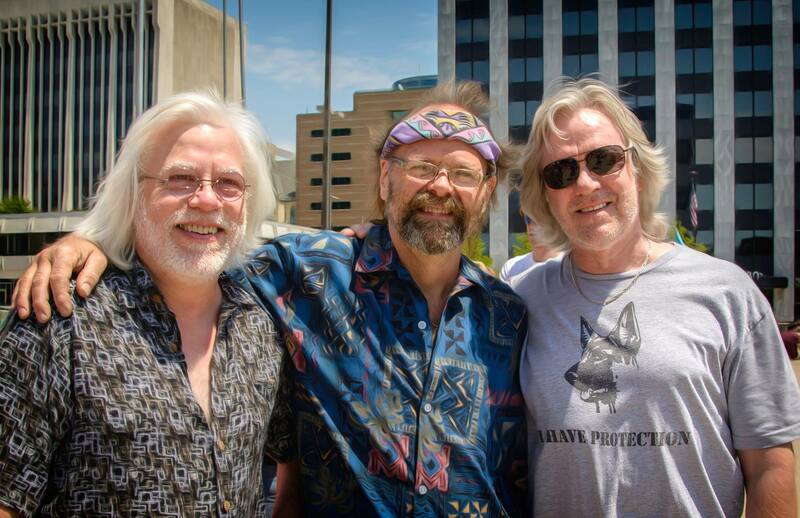 Horsefeather members, still best friends after all these years (L-R) Mark Swanson, John Andrews, Steve Damstra. Photo of Horsefeather on the wall at The Sawmill in Big Rapids, still on the wall since sometime in the 1970's. 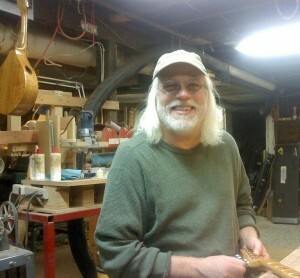 Music has been added to Mark Swanson’s page. Please check it out!